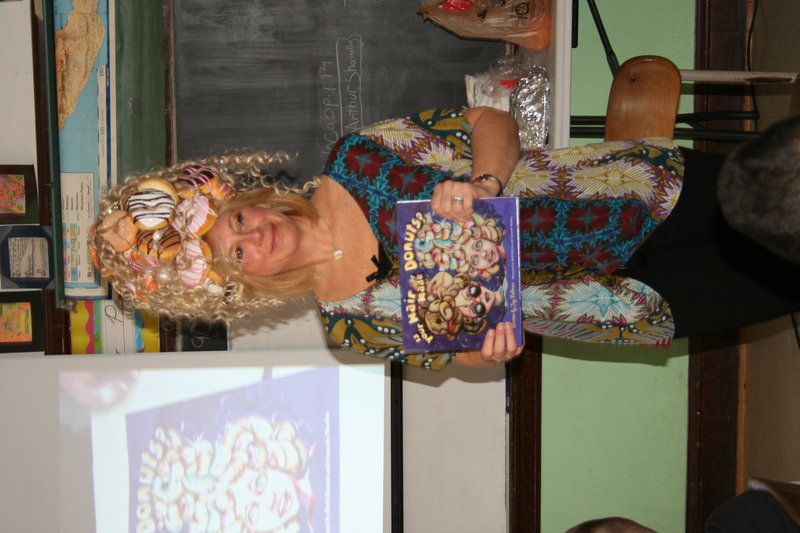 Joy Feldman wears a wig when she reads to students that really does look like it's made of donuts! There are so many reasons I love my job at the newspaper, but one of my favorite things is all of the amazing people I get to meet, all of the things I get to learn about through my interviews. Today’s children’s book is one that I found out about through my work at the paper. Local author Joy Feldman spoke at one of the schools in our city and I covered her visit. What an amazing woman! You can read my full article about her here. Feldman’s book, “Is Your Hair Made of Donuts” is her second book, but her first book geared towards children. Her goal is to encourage children and families to eat healthier foods, and to remember that you truly are what you eat. The story revolves around the two main characters, Maddie and Matt and their quest for healthy eating. It even includes some of Matt and Maddie’s favorite recipes in the back of the book. The book also comes with a free downloadable teachers’ guide to coordinates with the book. You can order Feldman’s books on her website and you can take a look at all she has to offer, including her adult book, “Joyful Cooking: In Pursuit of Good Health,” which Feldman says is more than a cookbook, it’s a resource for pursuing a healthy lifestyle. 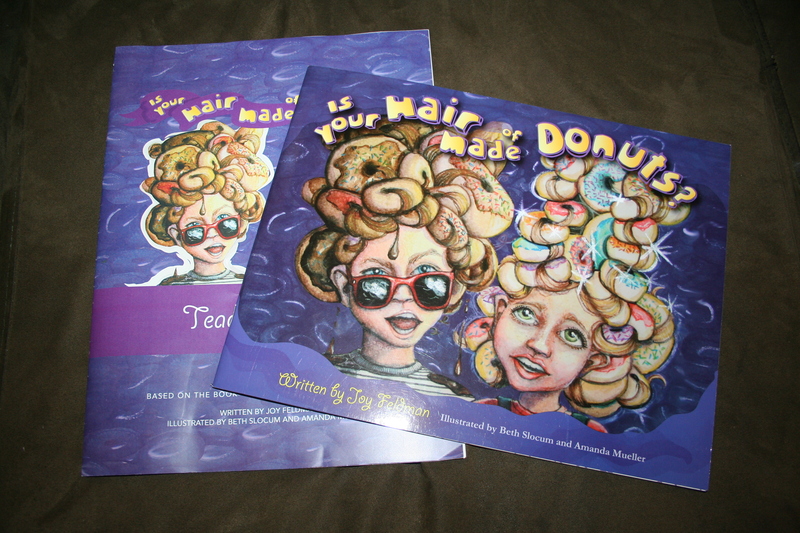 I’m thrilled to have my own copy of “Is Your Hair Made of Donuts” for my family, thanks to Joy, and the title does make me think quite a bit about my own eating habits. I believe my hair might just be made of chocolate chips! Your kids will love reading about Matt and Maddie and learning about how your eating habits really do make a difference! Teachers will love the guide that goes along with the book.